We at BasicSafe are proud to introduce our new sales representative, Mel Smith. Mel just began his sales representative position in August, but h e brings decades of experience in safety, insurance and heavy industry. In fact, Mel got an early start in safety management as a child, watching his father and grandfather take care of their employees in their logging, junkyard and farming businesses. OSHA wasn’t around at the time, but his family always prioritized employee health and happiness, and they felt it was their responsibility to provide for on-the-job safety. Now, Mel brings the same integrity and diligence to his work with BasicSafe customers. As a safety professional, Mel has accumulated hundreds of hours of training and obtained a variety of certifications, including the OSHA 10 and the Construction, Health and Safety Technician and Specialist designations. Having gotten his start as a safety consultant for wrecking and salvage yards, he’s gone on to work in construction, oil and gas, mining, paper milling and a variety of other industries. 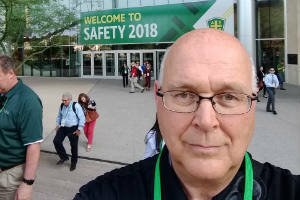 As a sales representative, Mel now uses his decades-long safety experience to help BasicSafe customers make the most of their software. From incident reports to JSAs to document management, he’s well-equipped to advise on best practice and workflows. Also a certified OSHA trainer, Mel is particularly focused on helping users build custom training programs with the BasicSafe training management module. With the ability to organize training schedules, create quizzes and validate signoffs, certificates and test scores, this module is the ultimate tool for safety trainers. Are you interested in learning from Mel about managing your teams’ training? Do you want to know more about how BasicSafe can improve your worksite safety while reducing safety-related costs? For more information, contact us today.